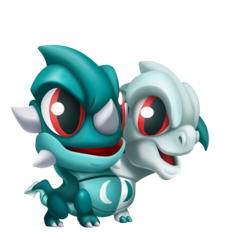 The Lunar Eclipse Dragon might be one dragon but it has two personalities. Dragons that try to pit them against each other will lose. They play on each other’s strengths and while one is attacking, the other is strategizing. 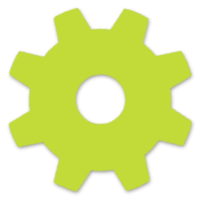 The Troll Dragon is old fashioned, perpetually grumpy, and never satisfied. 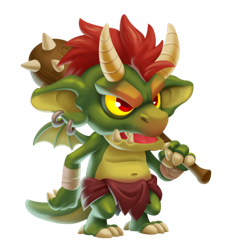 This cranky creature has been in Dragon City a long time and always has the same mission: win every battle. He refuses help from younger dragons because he wants victory for himself. 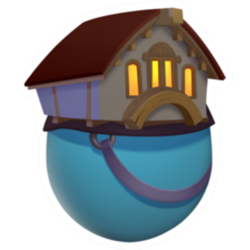 The Delivery Easter Dragon has one important job every year: To take all the fun and colorful Easter eggs that the Ovi Dragon has painted and hide them around the islands. It’s his favorite job and if not watched, he gets carried away and there are eggs everywhere! 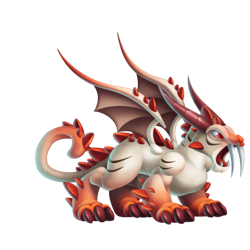 The Wildfire Dragon is a tumultuous beast with an inferno at his claws and fire pumping through his blood. 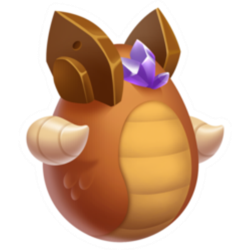 All dragons keep their distance because this fierce dragon will use any excuse to attack an enemy, no questions asked. 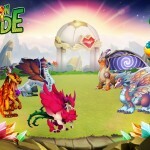 Although the Double Primal Dragon is an agile, attacking beast, this ferocious dragon is loyal and has a soft heart. His pointed canines are both a benefit and a drawback as they often get in the way when he wants to play around with his friends. 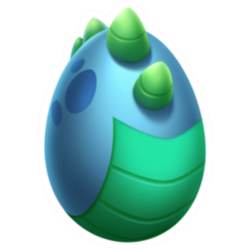 The Happy Egg Dragon is every dragon’s cheerleader. 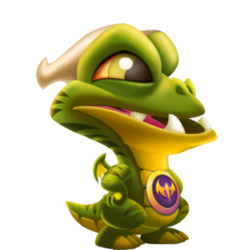 This jolly dragon is a Dragon City favorite, always has a smile on his face, and only wants to spread happy vibes. 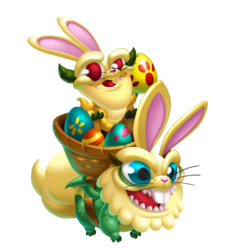 He’s so merry, it’s hard to believe he’s twins with the Angry Egg Dragon. 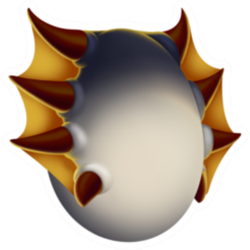 The Angry Egg Dragon is every dragon’s nightmare. 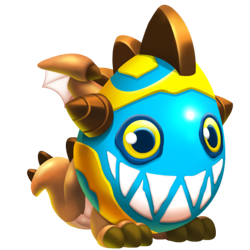 He’ll never admit it, but he’s secretly jealous of his twin brother, the Happy Egg Dragon. This heated dragon wanted to be known for something too, so he furiously creates destruction everywhere he goes. 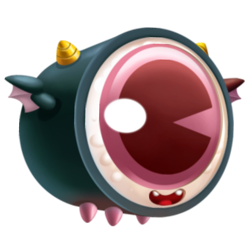 For years, the Chibi-Chum Dragon thought that he was strange because he couldn’t make his horn grow. But as he grew older he discovered that he wasn’t weird, he was special: When he wins battles, his horn grows! 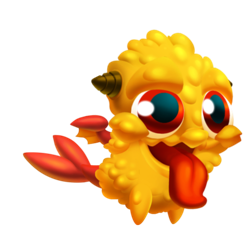 The Chibi-Chomp Dragon is already fierce and destructive by nature so imagine what he must be like when enemies attack the one thing he’s hyper-protective of: His little brother, The Chibi-Chum Dragon. He will go to the next level to defend his brother. 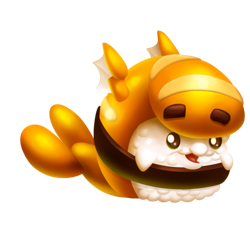 The Chibi-Churl Dragon has worked his way up the ranks to become a boss dragon. This fire breathing beast is very demanding and expects everyone to fall in line. 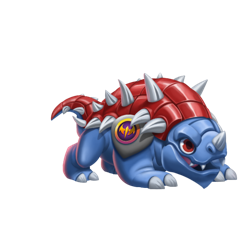 His attacks are so powerful, he can destroy an enemy with very little effort. 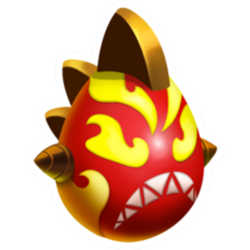 The Chibi-Chief Dragon can be heard before he’s seen. This mighty dragon is not only a vicious attacker, but he’s also the ultimate lookout. 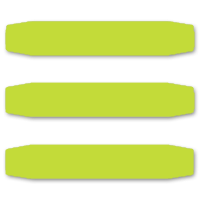 He uses his distinctive call to warn his allies when he sees danger coming. 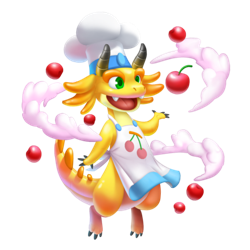 The Baker Dragon runs a bakery right by the farms on the floating islands. 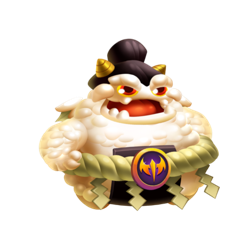 He's famous for the enormous cake he bakes every year around Dragon City's Anniversary. It's big enough for every dragon in the city to grab a slice! 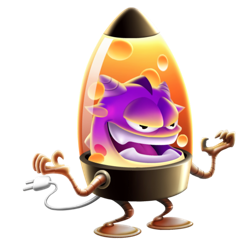 The Lava Lamp Dragon is an edgy, cheeky little creature. 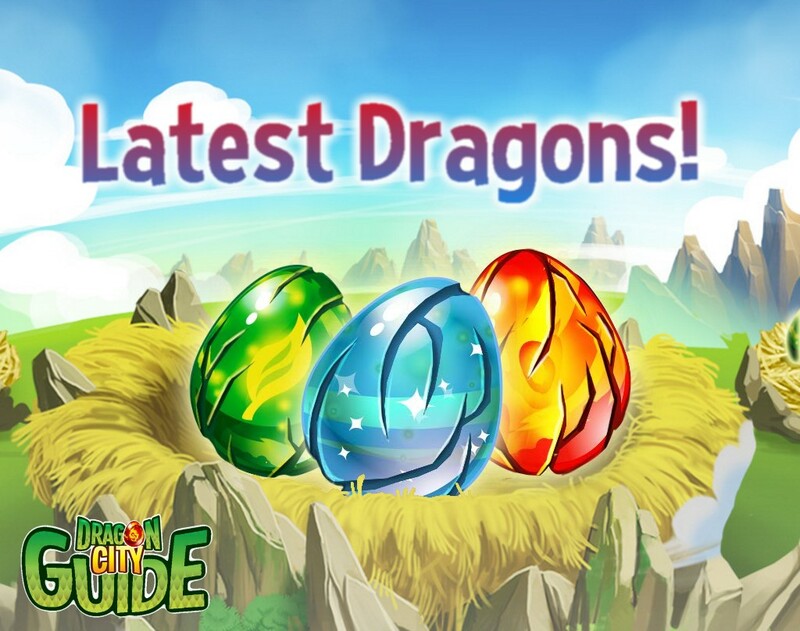 This dragon loves to play practical jokes around Dragon City to shake things up. His colors change depending on his mood, but beware, sometimes he manipulates that to trick his enemies. The Dust Dragon’s body is made of the earth’s finest jewels and minerals, but that’s really of no importance to him. This lazy dragon just wants a solitary life of peace and quiet and will start an avalanche if he is disturbed. The Little Volt Dragon lives a physically uncomfortable life with a thick layer of ice horns on his back. But it has made him stronger and he’s grown accustomed to this distressing lifestyle and has learned to use it as fuel for battle. 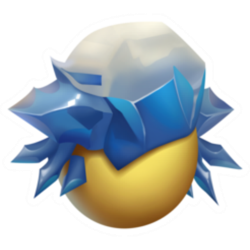 The Glace Dragon is a tough opponent and his enemies’ worst nightmare. 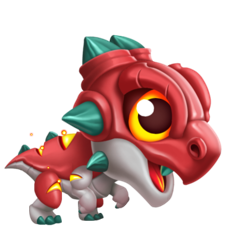 This jagged dragon has a solid exterior to keep him protected at all times and his mouth is always filled with spiky ammunition, ready for any attacker. 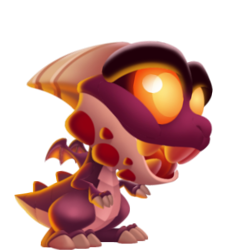 The Maki Dragon might seem small, cute, and bite-sized, but this petite dragon’s damage is bigger than her size. They say she sleeps with her one eye open and never lets an enemy escape. The Home Dragon wanted to get out and explore the multiverse but there was one small problem: She knew she would miss home. So this resourceful dragon did what anyone would do…She brought it with her. 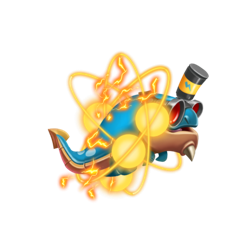 The Electron Dragon is a science whiz and known for this methodical skills. 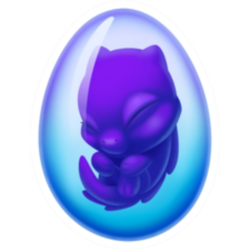 When dragons are stuck between multiverses he’s usually the one to rescue them. He disappears for weeks at a time but no one panics because they know that he’s likely out gathering data. 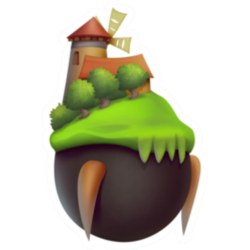 When the Nemesis Dragons were threatening winter in Dragon City, the Village Dragon wanted to help, so he built a village to host dragons. Now he’s the go-to dragon for all emergencies.